It isn’t always easy to discontinue something you’ve been working on. As writers, we sometimes catch ourselves working on a piece that becomes worse and worse with every word we add. It happens to us all and it’s incredibly disheartening when we realize that there’s no other option but to give up. Whether our writing is confused, maddeningly vague or completely lost, we don’t always want to do that. We need to learn to challenge ourselves whilst also recognizing when something has beaten us. I’m not suggesting that we should abandon our ideas entirely on these occasions. During Writing 201, a poetry course by The Daily Post, I wrote many attempts at poetry that were ripped from my notebook, screwed up into a ball and tossed under my desk in frustration. More often than not, however, some element of that original idea made it into the final poem. There had been a creative spark in that first version that eventually came out. So if there’s a line, a character or even an overlying theme that you love, you can still salvage it. Scrap the failing piece and begin again from line one. The ability to distinguish between something that is working and something that isn’t working is important for every writer. 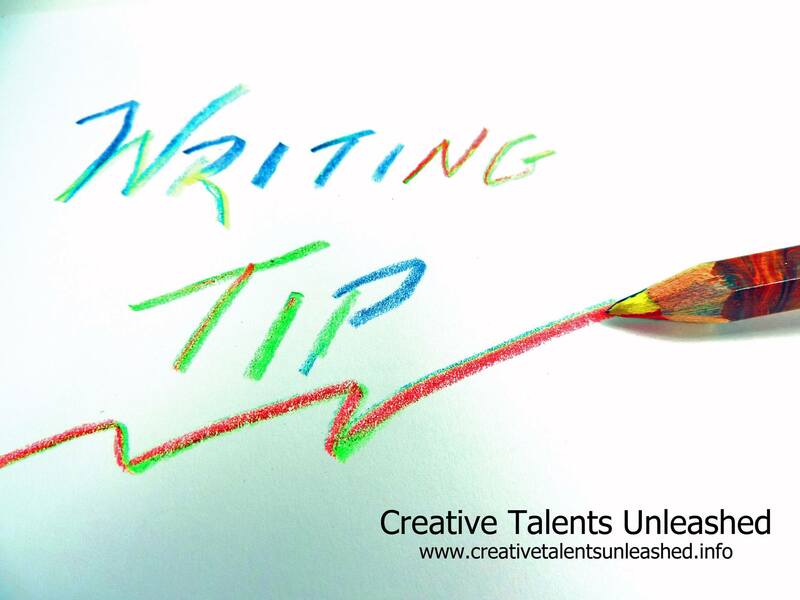 Whether you are just a lover of literature or want to take your writing to the next step, Writing Tips will be an informative and delightful read. This book will fit perfectly in a classroom, use it as a coffee table book to create a few conversations, or give it to friend who is struggling with their writing. It was written by writers who enjoy their craft, with the hope of motivating and inspiring others to enjoy the art of writing. Contributing Authors: Donna J. Sanders, Author of Ataraxia, Cardboard Signs, Devour Me, and Charcoal Kisses Jody Austin, Author of This Is My Pen, Volume 1 Laura Marie Clark, Author of City of The World Raja Williams, Author of The Journey Along The Way & Imprints In The Sand. 100% of ALL Proceeds are being donated to our Starving Artist Fund!